Press Room » FSCJ Artist Series Presents A Christmas Carol, December 21, 2017 at 8 p.m.! FSCJ Artist Series Presents A Christmas Carol, December 21, 2017 at 8 p.m.! This celebrated Charles Jones adaptation of Charles Dickens’ A Christmas Carol returns to Jacksonville's Times-Union Center for one performance only! 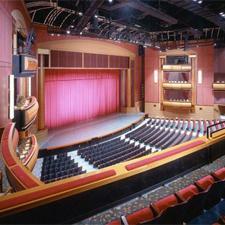 This fully staged musical version of Charles Dickens’ classic tale, A CHRISTMAS CAROL has become a Yuletide tradition. The story was adapted for the stage by Charles Jones. 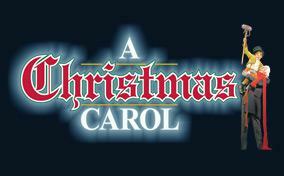 The Caravan has been touring this adaptation of A Christmas Carol since 1979. It is one of the most widely viewed productions of the Dickens tale in the nation, annually performing for more than 100,000 people in more than 60 cities across the country. A Christmas Carol features a spirited ensemble of 23 performers who bring Dickens’ fable of redemption to life on a magical set created by noted designer James Othuse. A full array of timeless carols such as “God Rest Ye Merry Gentlemen,” “Away In a Manager” and “Here We Come A-Wassailing” are interwoven within the classic story of a tight-fisted, middle-class merchant Ebenezer Scrooge and all the beloved characters from Dickens' 1843 novel. The heartwarming tale depicts Scrooge, whose values are focused exclusively on profit and his conflicts with the struggling Cratchit family, whose tragic problems typified the working class during the Industrial Revolution in Victorian England. The touching climax is based on Dickens' belief that the ills of a greedy world can be healed by brotherhood and unselfishness. The colorful scenery and elaborate costumes faithfully recreate the Victorian period. Exceptional voices, lively dancing and dazzling special effects like the mysterious spinning bed combine to create a spectacular holiday treat for the entire family.